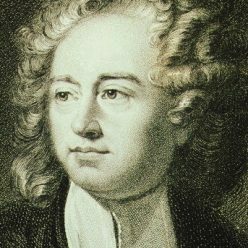 The text on this draft page about William Lunn, Rothwell’s first Labour Member of Parliament, is adapted from Volume 2 of the Dictionary Labour Biography by Joyce M. Bellamy, Senior Research Officer at the University of Hull. 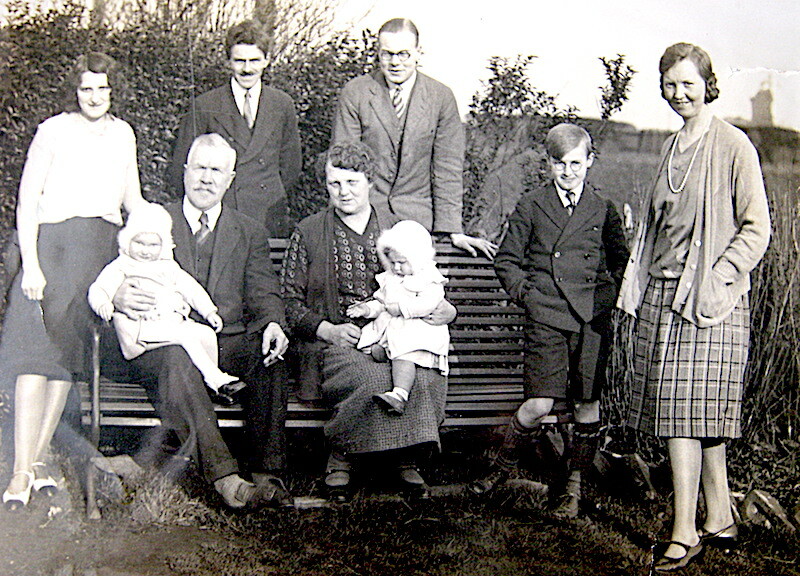 The photographs come from Willie Lunn’s family archive..
William Lunn was born on 1 Nov 1872 at Rothwell. 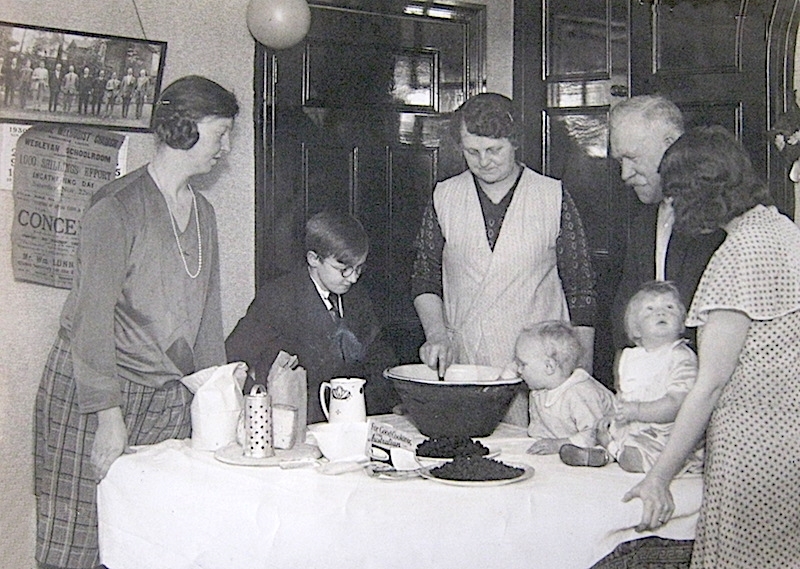 He was the eldest of 8 children of Thomas Lunn, a miner and active trade unionist, and wife Mary. William, or Willie as he was known, went to Rothwell Board School then started at one of the pits of Rothwell Haigh colliery when he was 12. He never forgot the problems of his early working class life, and like his father soon became involved in trade union affairs. At the age of 16 he was victimised for leading a pony drivers’ strike, and this strengthened his determination to continue to struggle for improved working conditions. In November 1889 William Lunn went to Middleton colliery, involving a long walk each day, but he continued his trade union activities, and succeeded his father as chairman of the Rothwell miners’ branch of the Yorkshire Miners’ Association when he was only nineteen. In 1900, at the early age of twenty-seven, he was elected checkweighman at Middleton and served in that position until December 1918. He was regularly elected by the local miners to represent them at meetings of the Y.M.A., and he attended many international conferences. In his early youth he became deeply interested in politics, and during the 1893 coal strike helped to form the Rothwell branch of the Independent Labour Party of which he was a branch officer from the outset and for many years. He was one of Pete Curran’s most ardent supporters at the notorious Barnsley by-election of 1897, when Curran stood as an I.L.P. candidate and adopted the programme of the MFGB which included the provision of an eight-hour day. 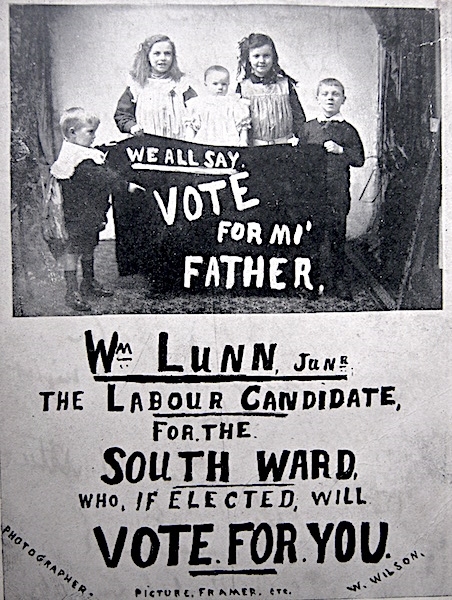 At that time Yorkshire miners’ leaders were vigorously opposed to Curran, as they favoured the continued election of Liberal candidates sympathetic with the Labour cause; but there was growing support among some of the rank-and-file miners for independent Labour representation in Parliament and a break from Liberalism. During the 1890s Lunn also began a lifelong interest in local government affairs: he was a member of the Rothwell School Board from 1895, of the Rothwell School Management Committee in 1898, and from 1903 to 1918 a member of the Rothwell Urban District Council, of which he was chairman from 1915 to 1917. He joined the Fabian Society (probably in the early 1890s), and later became secretary of the Normanton Labour Party. A man of fine physique with a strong somewhat bluff personality, he was also a forceful speaker; these attributes, combined with his reforming zeal and wide experience in trade union and local government affairs, led to his selection in 1909 as one of five Yorkshire miners’ leaders to contest parliamentary constituencies. His first opportunity to fight a seat came in 1912, when, owing to a by-election in the Holmfirth constituency caused by the retirement of the Liberal member, he was unanimously chosen as prospective Labour candidate. Although a nominee of the Yorkshire Miners’ Association, he did not receive wholehearted support from miners in the constituency, but his short campaign – of less than a fortnight – witnessed a remarkable exhibition of extensive canvassing and public speaking by prominent Labour MPs, trade unionists and members of the I.L.P. Among those who supported his campaign were W. C. Anderson, G. N. Barnes, Fred Hall (the miners’ leader), Keir Hardie, Arthur Henderson, John Hodge, George Lansbury, Ramsay Mac-Donald, Ben Riley, Robert Smillie and Ben Turner. For the first time, some of the women’s suffrage organisations took part, notably the National Union of Women’s Suffrage Societies and the Women’s Freedom League. Altogether 170 well-attended meetings were held during the short campaign. 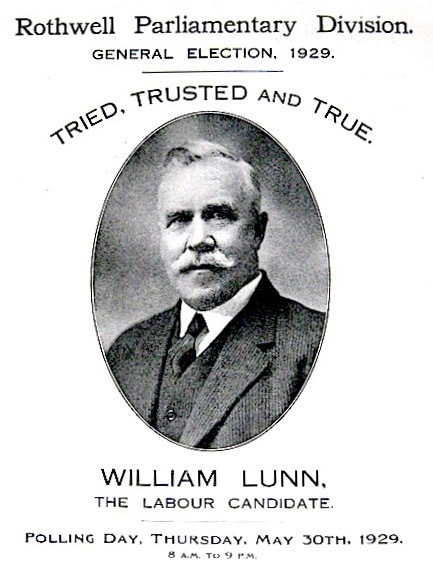 Lunn’s election manifesto advocated the establishment of a living wage, an eight-hour day, nationalisation of the mines and railways, and votes for women. On this last issue he pledged, if elected, to vote against the third reading of the Franchise and Registration Bill, then being discussed in Parliament, unless women were to be enfranchised. Although he was unsuccessful in this particular election, he doubled the previous Labour vote, and his campaign was regarded as a decisive factor in the final severance of the long-standing connection between the Yorkshire miners and the Liberal Party. He was invited to become a candidate again at the next general election, but the outbreak of the First World War intervened. At the first election after the war, Lunn entered Parliament as Labour MP for Rothwell, and retained this seat until his death contesting in all seven parliamentary elections between 1918 and 1935. In the House his forthright manner of speech made a considerable impression. He spoke on international issues (self-determination for Egypt, for example) as well as on obvious domestic topics such as the nationalisation of the mines. He was notably active in matters of local interest: in 1920, for instance, he upheld the cause of the smaller urban councils by opposing the inclusion of Rothwell the Leeds boundary. In October 1920 Arthur Henderson initiated a debate in the House of Commons on Ireland, and demanded an independent investigation into the ’causes, nature, and extent of reprisals on the part of those whose duty is the maintenance of law and order’. When he failed to obtain this Henderson persuaded the Labour Party executive to set up its own commission of inquiry, of which he was appointed chairman and of which Lunn was a member. The commission spent a fortnight in Ireland, and published its report in January 1921. This was followed by meetings throughout the country which undoubtedly helped to alter public opinion and led to the Irish Treaty of 1921. In September of that year Lunn, with other MPs visited Egypt to make inquiries relating to its independence, which was granted by the British Government in February 1922. In the same year (1922) he was appointed a Labour Whip and in the Labour Government of 1924 served as parliamentary secretary to the Overseas Trade Department of the Board of Trade, with Sidney Webb as his President. At this time Lunn became interested in the emigration of children to Canada and his Department sent Margaret Bondfield and others to Canada to investigate the conditions experienced by these immigrants. In the second Labour Government of 1929 to 1931 Lunn was Under-Secretary of State for the Colonies and for the Dominions Office successively, again serving under Webb. He maintained his interest in emigration as chairman of the Overseas Settlement Committee and was also vice-chairman of the Empire Marketing Board. He travelled widely as a member of the Empire Parliamentary Association; attended a number of international labour conferences and studied mining conditions in Austria, Belgium, France and Germany. A member of the Parliamentary Labour Party executive for a number of years, he also served on various Select Committees and was a personal friend of many of the Labour leaders, including Clement Attlee.